New Orleans By a voice vote the AFL-CIO delegates in convention approved a resolution to expand the membership to other groups. 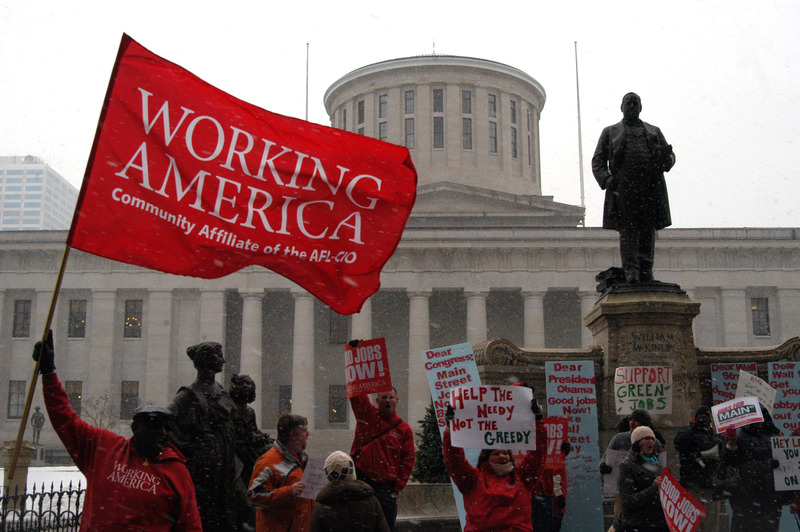 The measure appears to be largely a symbolic gesture about buildinga larger coalition for political issues and defense against attacks against working families, rather than a real effort to reverse the long decline in union membership and strength. In 2012 statistics indicate that union membership in the private sector continues to move towards the worse case 5% density that some experts have predicted. The 2012 number fell to 6.6% among the privately employed and 36% membership in the public sector for an overall decline to 11%. The latest measure, heralded recently by AFL-CIO President Richard Trumka, as a bold new direction seems to have stalled at the starting line. Reports are that some of the initial groups in discussion with the AFL-CIO about potential membership of some sort in the body have seen the federation’s proposals significantly scaled back during meeting over the summer. Predictably some of the old guard unions have bristled about how much power and voice in governance of the body any of these new non-labor groups might have. Given that they seem to be offered little more than a chance at more meetings and buffet dinners where they are part of the window dressing, rather than any real new voice or different direction, I have to wonder why they would want to join, especially if it meant paying dues, at least until labor finally gets its act together. The old maxim is still true. Groups join to borrow power, not to loan power, and until labor can offer the opportunity to join strength to strength, we seem lost in the isolation of our own company and declining membership. This entry was posted in Citizen Wealth, Labor Organizing and tagged afl-cio, union membership, working families by Wade. Bookmark the permalink.